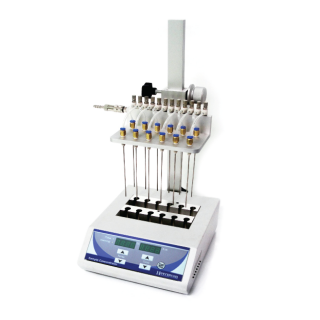 TT-200-VSC Visible Sample Concentrator is intended to provide rapid evaporation of solvents from samples in test tubes or containers. 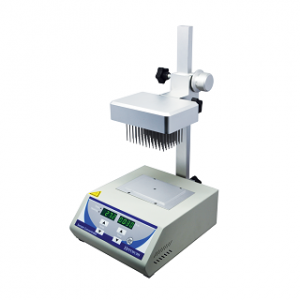 It works under the principle of solvent evaporation to concentrate samples. 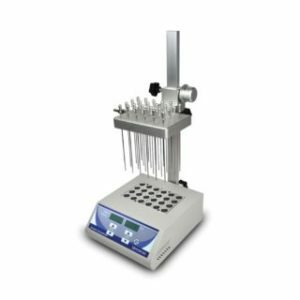 By heating the samples/solution in a dry block heater coupled with a stream of inert gas (nitrogen) direct to the surface of the sample, vapour is rapidly driven off and the sample is quickly concentrated. The unique design of the block enables sample level to be observed during operation.